A plaque honoring the Confederacy is located in the Texas state Capitol building. The plaque, which denies a primary role of slavery in the Civil War, was installed in the Capitol in 1959 and authorized by the state Legislature. 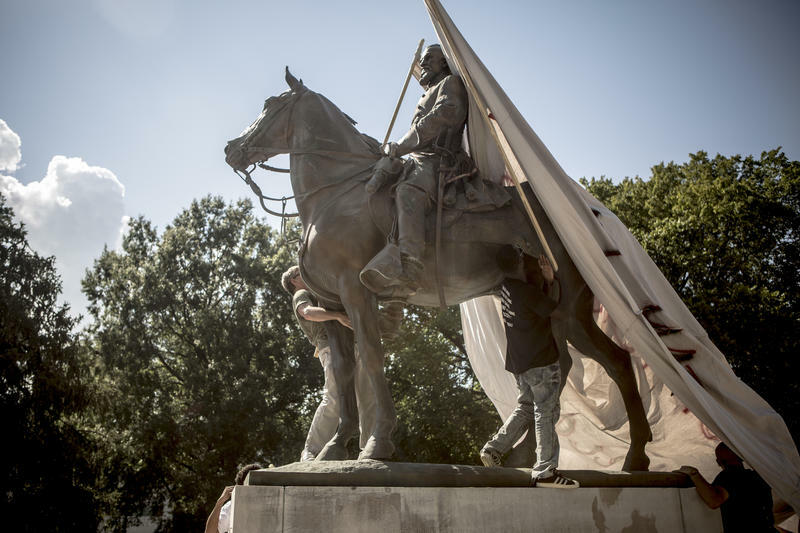 The State Preservation Board and the Texas Historical Commission also have the power to remove or relocate monuments or memorials like the plaque, the attorney general said. A court isn't likely to take the issue up, Paxton said. The opinion was in response to a request from state Rep. Joe Moody, D-El Paso, who asked which officials or entities are authorized to remove the plaque. Last year, state Rep. Eric Johnson called for the removal of the plaque, located near his office, and wrote a formal request to the preservation board. Johnson, D-Dallas, met with Gov. Greg Abbott, who promised the representative he would ask the board to look into the issue. Johnson sent a letter Wednesday to Rod Welsh, the executive director of the preservation board, saying his Oct. 23, 2017 request for the removal of the plaque was still active. He pointed to Paxton's opinion that a member of the Legislature needs to submit a request form to the preservation board in order for the removal process to begin. If the board decides to become involved, it would be up to the board or the curator of the Texas Capitol to make the final decision, Paxton said. House Speaker Joe Straus echoed Johnson's request for the plaque to come down, referring to the denial of slavery's primary role in the war as "blatantly inaccurate." In a statement Wednesday, Straus said the attorney general issued a "well-reasoned" opinion affirming that the preservation board has the right to remove plaques from the Capitol. “I agree with the Attorney General’s determination and, as a member of the State Preservation Board, I remain ready to remove the blatantly inaccurate Children of the Confederacy Creed plaque. There’s no need to delay this,” Straus said. Despite momentum earlier this year to rid Austin Independent School District properties of links to the Confederacy, the district's Board of Trustees is facing pushback over proposed new names.